Pioneer of American military aviation who commanded the U.S. Army Air Forces during World War II. 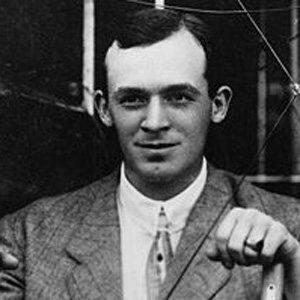 He took an early interest in flying and even trained with the famous Wright Brothers. He was the first to use air-radio to communicate enemy positions in World War I. Before World War II, he continued pushing for military aviation innovation, recommending the development of the B-17 heavy bomber. He published an autobiography as a means of ensuring the financial stability of his wife and children. He was promoted in 1942 to the third-highest military command position, just behind Dwight D. Eisenhower.